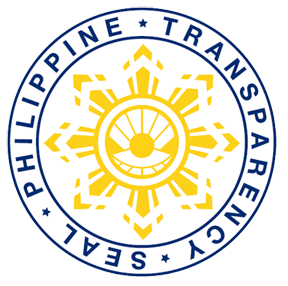 The Philippine Carabao Center (PCC) Administrative and Finance Division (AFD) takes another step to show its transparency to the public with regard to its fund disbursement and utilization through a hassle-free financial statements preparation and reporting. This was the expected result of the recently held, “Year-End Closing of Books and Financial Evaluation and Assessment for the Year 2015” last February 1-5 at the PCC headquarters in the Science City of Muñoz, Nueva Ecija. It was conducted as part of the PCC’s obligation to close its 2015 book of accounts and submit the necessary financial reports to the Commission on Audit (COA) by February 14. The activity aimed to address some of the agency’s issues and concerns related to its accounting systems, policies, and processes such as: (1) use of a common format financial statements preparation across the PCC network, (2) standardized accounting entries for common agency transactions, and (3) common understanding on the use of enhanced electronic new government accounting system (ENGAS) and electronic budget (eBUDGET) system. One of the most common problems encountered among the headquarters and the regional centers is the occurrence of accounts that are not reconciled. Jean Gasmeña, officer-in-charge of the AFD, explained that the main reason is the timing difference in recording transactions. Thus, the activity is one way to help address the reconciliation of accounts. “By doing this activity participated by all concerned personnel from the headquarters and the regional centers, we expect to manage our funds better because this is something that we owe to the public,” Gasmeña said. Dr. Arnel Del Barrio, PCC Acting Executive Director, encouraged the participants to be pro-active in terms of suggesting new projects and programs that can increase the agency budget for the succeeding years. He added that the AFD personnel should work closely with the operating units to increase the absorptive capacity of the agency as a whole in terms of fund utilization.